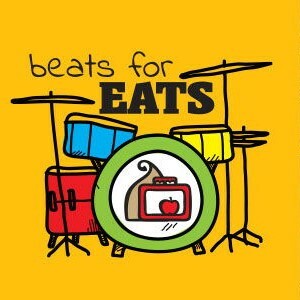 Help us host the 4th Annual beats for EATS event on March 23, 2019 at Arlington Town Hall! We have volunteer opportunities for both adults and teens. Help set up the room for the party. Age 21+. You will use a laptop to check guests into the auction. We will train you when you arrive but you must be comfortable using a laptop. Age 21+. You will use a laptop to check-out guests who have won auction items, sell raffle tickets and EATS swag. We will train you when you arrive but you must be comfortable using a laptop. Age 21+. Use an iPad to help guests make bids or donations. We will train you when you arrive but you must be comfortable using an iPad. Age 18+. You'll be passing hors d'oeuvres to guests. Age 18+. Running supplies to the bar; general help as needed. There are lots of stairs. Age 21+. Walk around selling raffle tickets to guests. Age 21+. Use an iPad to sell EATS branded items. Work in the coat room. HIGH SCHOOLERS WELCOME. Provide support to coat room attendants during busiest times. Help clean up the party. HIGH SCHOOLERS WELCOME. Local delivery of unclaimed auction items and raffle baskets. Flexible schedule.